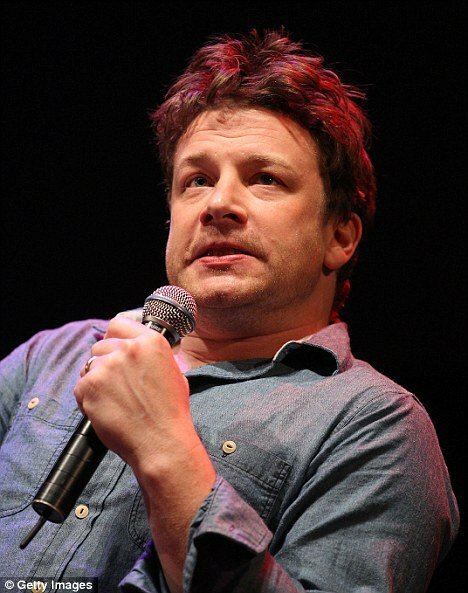 The celebrity chef Jamie Oliver was not so happy when he was questioned about his own diet in Australia this week. Jamie Oliver, 36, bristled when asked by a female reporter if he had gained a few pounds recently and called her a “b****”. When he was questioned on whether he had filled out a bit, Jamie Oliver replied: “I don’t know. I am very healthy. It wasn’t clear whether or not the father-of-four was joking during the outburst. However, Jamie Oliver admitted he tried to watch his weight and worked out twice a week, but said there was room for improvement. Jamie Oliver explained: “I do my best. Working in the food business is quite hard when someone is constantly asking you to try things. Jamie Oliver’ spokeswoman Kimberly Yorio insisted her client’s weight remained the same. At the Q&A session on responsible eating on Tuesday, Jamie Oliver admitted he was not thinking straight after “a few drinks” the night before. Jamie Oliver is in Australia to launch his second Ministry of Food, in partnership with The Victorian Government and the Good Foundation, to attack state-wide obesity. The new scheme will see AU$5 million put towards helping teach cooking techniques and nutrition to participants in a larger attempt to attack obesity as a whole in the country.